I didn't realize that we gonna have graduation night on February 17th!! Time flies...*sigh* That means our final exam will be around the corner as well, in fact in 2 weeks..yikes!!! Our teacher was confirming our attendance since the first day of the semester today and requesting for any volunteers to perform on graduation night as well. None of us volunteered. After class last Wednesday, I took some time to let off the steam from studying Korean and checked out Yonsei University. Just walk straight up till the end of the road from the Sinchon rotary and you will see a flyover. Walk through the walkaway and cross the road. 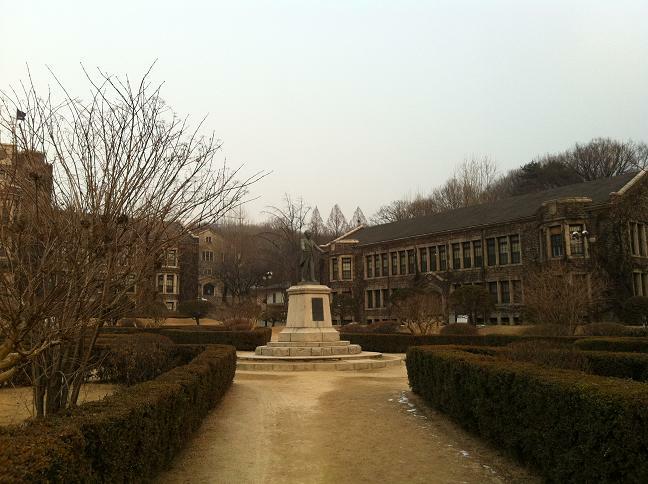 Yonsei University is quite big compared to Ewha University and the architecture speaks of their own reputation. 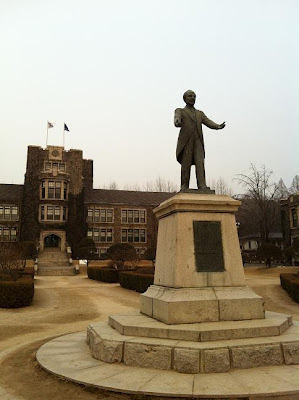 However Yonsei gave me a serious vibe type of school, you know. Heheh..not so much like Sogang University though. Have you heard of this string of top universities in Korea- SKY? There you have it. ^^ Yonsei University is one of them so that's the answer for that strong vibe I explained before. 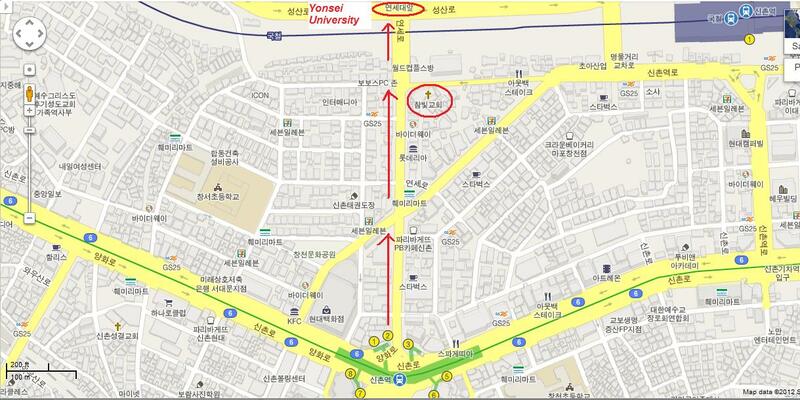 How to go to Yonsei University? 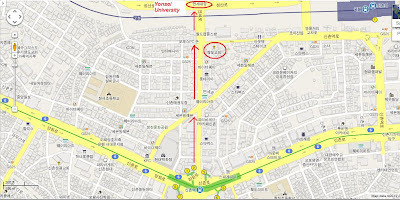 From Sinchon Station, Exit 2 or 3, walk straight ahead. More pictures at BudgetTravel2Korea Facebook.